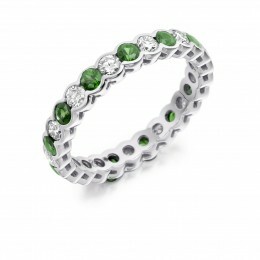 “Peppermint” is a beautiful eternity ring with round emeralds and round brilliant diamonds set in white gold. 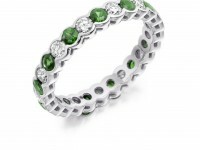 This lovely ring may also be made in yellow gold, rose gold or platinum. Call Loyes Diamonds and book your appointment today. We will spend time showing you this beautiful eternity ring amongst others in stock and insure you find that perfect eternity ring.